**as part of the Blogger Influence Group, we get a free product once a month to review for Chewy.com but that does not influence our opinions. The product review is our honest opinions. Chewy.com is not responsible for the content of this review. 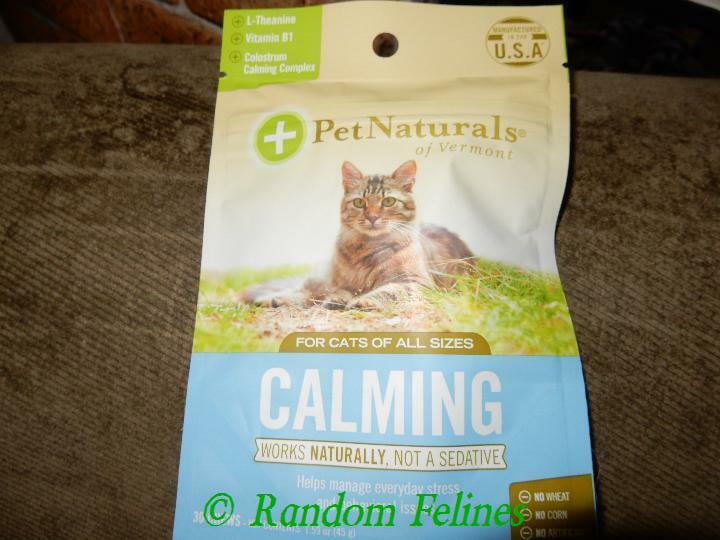 This month we got the Pet Naturals of Vermont Calming treats. 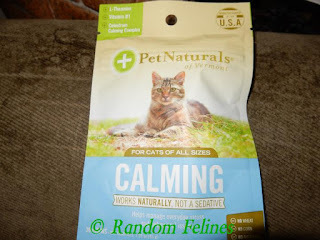 Mom was kind of interested in trying these to see if it would help with some of the stress around here between Junior and Ivy and Spud. The good part is that Junior seemed to like them. The down side was that the only other cat that would eat them was Mozart. They are sized so that it takes a few bites to get them apart and chew them too, so mom ended up having to get Junior to one side to give him these and give everyone else something different. 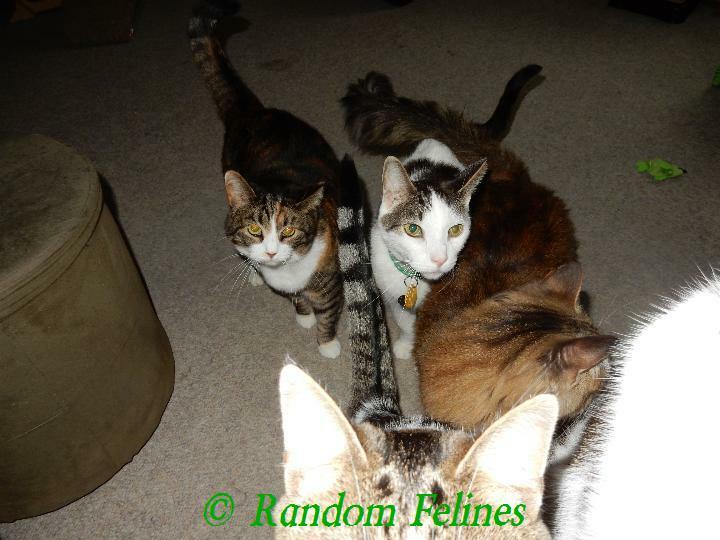 As you can see, any offer of treats gets everyone's attention - whether they end up liking them or not. The treats come 21 to a pouch, so if we were trying to give one to everyone here, that would be 3 days... probably not even enough to get any effect. But mom has been trying to exclusively give them to Junior and Mozart. She isn't sure what the overall effect is supposed to be, but she sure hasn't noticed anything. Great review. That is usually the way things go here. Only one or two like them and then there are not many results. She's got treats! Swarm! Swarm! Swarm!!! I hope they work! If nothing else, they seem like a tasty treat! Interesting! We'll be all ears to hear if they seem to work or not, and if anyone else comes to like them. Good review on this different product! I have to be honest - my human has tried these when she takes me places, just in case, but has never noticed any difference one way or another. Hmm... that's disappointing that they didn't seem to have any effect. At least a couple of the kitties think they are tasty! We received some of those, but there hasn't been a need to try them yet. Mom Paula wants to try them when she goes out of town or when the fireworks start. My cats liked eating them, but I didn't think it calmed them. These sound interesting as well as tasty! We tried those and didn't see much of a difference either.